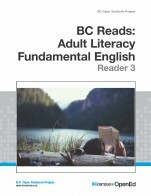 BC Reads: Adult Literacy Fundamental English - Course Pack 3 by Shantel Ivits, Vancouver Community College is licensed under a Creative Commons Attribution 4.0 International License, except where otherwise noted. There is an effective and easy to understand table of contents at the beginning. Each unit has an accompanying Scope and Sequence that directly matches the ALFE Level 3 BC provincially articulated learning outcomes. There are easy to read writing rubrics in the appendix for students and instructors to clearly track progress for writing skills. The content provides clear and easy to read instructions. Each of the three units follows a similar format including: learning goals, learning strategy, reading strategy, word attack strategy, grammar rule and practice, and writing task. The content is relevant to the current Adult Literacy Fundamental English BC provincial learning outcomes for Level 3. The skills and strategies are tied to the stories in the accompanying Level 3 Reader, but could be adapted to other stories. 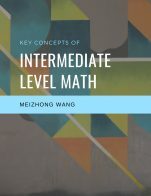 It is also easy to launch other supplementary activities from the ones given, particularly if you have a multi-level class. The text is clearly written in plain language with plenty of whitespace and a variety of visuals. This makes it easy for students to follow whether they are working in a group environment, or working on their own with minimal support. The layout and terminology is consistent throughout this course pack. The three themes are: Mysteries in BC History, Snapshots of BC Culture, and Wild BC and they work well together. The units are each assigned to a specific story in the accompanying reader. They can be easily broken into smaller sections to be used independently, or with the reader. They are arranged so that you could pull out sections to focus on a particular skill. The topics are presented in a logical flow and provide enough scaffolding for students to move from an easier skill (writing a complete sentence) to a more challenging one (writing a paragraph). At the beginning of each unit is a list of Learning Goals that gives instructor and students a clear overview of what to expect in the unit. Each topic in the unit builds on practice done in the previous unit, so although you could break them into smaller sections/modules, the activities and strategies build on ones learned in the previous unit. There are also useful graphic organizers included within the units. The variety in sizes of headings and subheadings works well. At first students found navigating between the course reader and the course pack a little challenging, however they soon got used to it. In my experience having the course pack separate from the course reader makes it easier to photocopy sections. The text contains no grammatical errors that I could find. The themes are relevant to a variety of diverse cultures. The first unit has a story about Sasquatches, which encouraged a very interesting discussion among students of different cultures. It also served as a jumping off point for further research on the subject with students practicing a variety of computer skills. Reading the stories aloud piqued interest and discussion among small groups of students, of different ethnicities and backgrounds, who were working on different projects at different levels. 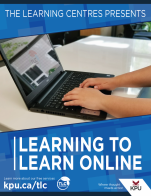 My original plan was to use this course pack in my literacy class having them access it online through our campus D2L program, but this proved to be too challenging and frustrating for students. Instead I have been using it in paper format and this is working well for students at this level. Written from a progressive Canadian, and particularly BC context, this course pack is relevant and enables students to make local connections. 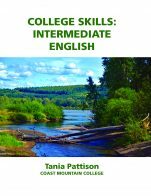 I recommend this course pack and accompanying reader for use in literacy classes in the post secondary system as well as community adult literacy programs.